The post Going Direct: Innovation Here We Come appeared first on Plane & Pilot Magazine. The crash of Ethiopian Airlines Flight 302 at Addis Ababa has never been a complete mystery. 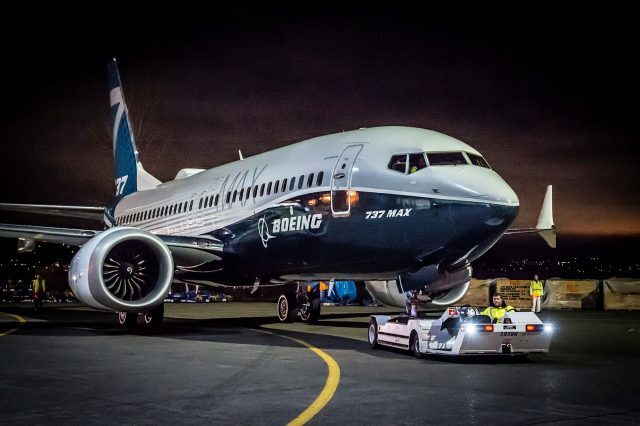 The accident, which claimed the life of all 157 onboard, seemed from the beginning likely to be related to the MCAS system that Boeing installed on the 737 Max to help it pass its flying qualities tests with the FAA and achieve certification quickly, allowing Boeing to bring the new 737 version to market to compete against the Airbus A320neo. And on the heels of the MCAS-related Lion Air 610 disaster in late October, the Ethiopian mishap had the telltale signs of an automation failure from the start. Now new evidence and theories are coming together to likely give investigators a clear picture of what happened and why things happened as they did in that short, horrifying flight of ET 302. That answer is related to facts both common to all airplanes and specific to the 737, and not just the Max. While many analysts are still discussing this as an accident caused by MCAS, that might or might not be the case depending on how you interpret the evidence. As with the Lion Air 610 crash, which is suspected to have been caused by a faulty angle of attack sensor, which triggered the MCAS to lower the nose, thinking the plane was on the verge of stalling. With Ethiopian Airlines 302 the AOA vane is also suspected as the initial complication. But in this case, there are signs that it broke off altogether before the accident, based both on the flight recorder data and the accident site investigation. It would not be the first instance of an AOA vane breaking off. Bird strikes have been known to take them out. That is what Peter Lemme, a former Boeing engineer, writes in his blog, satcom.guru, going into some detail about the possibilities, developing in the process a very credible scenario for the accident chain of events. Regardless of whether the vane broke off or not, it was disabled, based on the recorder data. The faulty sensor data it supplied the AOA would have activated MCAS, which would have then trimmed nose down, aggressively so, causing the nose to drop, to which the pilot flying, the captain according to the FDR data, continually trimmed against MCAS, which would re-engage after a few seconds. On two occasions the crew engaged the autopilot, only for it to disengage after a short time. 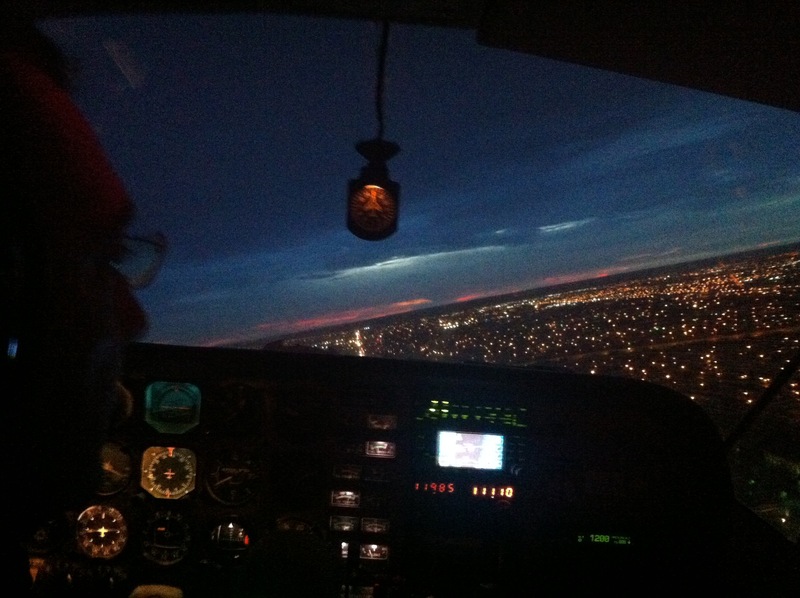 Early in the flight the captain reduced angle of attack and also commanded flaps up. 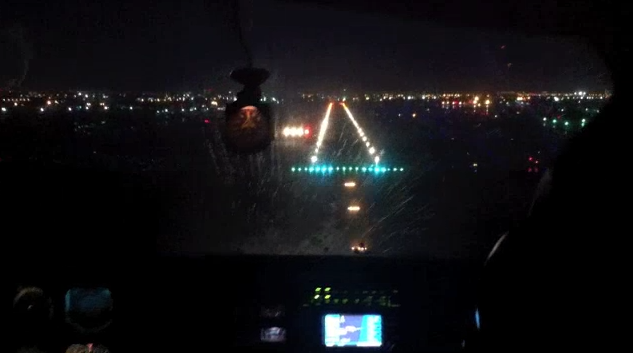 The airplane was accelerating rapidly and the crew was already struggling with control. And to complicate matters immensely, the left side stick shaker started going off early on and continued throughout the flight. There were several questionable calls the crew made during the short and tragic flight. 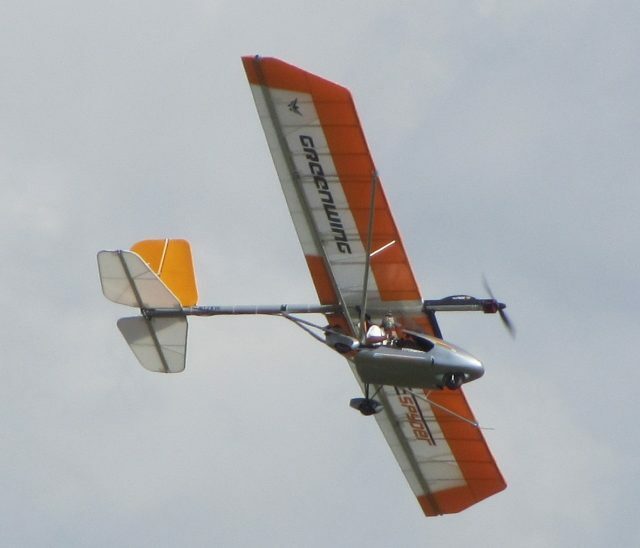 But several of these are part of basic flying skill. In an airplane that was accelerating toward disaster, the first thing a pilot should do is pull back on the power, but the accident pilots kept the engines spooled up to max continuous thrust, causing the overspeed horn to go off, which it continued doing throughout the flight. One very troubling report is that the crew turned off the electric trim, which deactivates the MCAS functions, only to turn it back on again, all as they were fighting to gain control of the plane. Some observers have weighed in that the reactivation of electric trim was inexplicable, but it’s not. There are, in fact, almost always compelling reasons that pilots take action during an emergency, even when those reasons reflect a misunderstanding of the systems, resulting in intensifying the emergency. In the case of the crew of ET 302, evidence suggests that the reason they reactivated electric trim is that after deactivating it earlier, they found that they couldn’t manually trim the plane. So they went back to electric trim, which, while not solving the problem, at least did something, and might buy them additional time. But why they couldn’t manually trim the plane very likely had everything to do with airspeed control. The pilots, remember, left in full power, and as MCAS trimmed the plane nose down and it accelerated to well over its max allowable speed, the aerodynamic forces quickly multiplied, giving the manual trim a much heavier load to work against. Add to that the fact that MCAS had trimmed the plane nose down and it’s very likely the manual trim felt as though it were welded in place. By slowing down might the crew been able to manually trim and thereby arrest the lethal descent? Maybe, maybe not. It was the right thing to do regardless, but the 737 (and every jet) can get to a flight condition at very high speeds where large trim corrections cause an unrecoverable pitch over. That appears to have happened with Ethiopian 302. Its descent angle as it dove toward the ground was a horrifying 40 degrees nose down. During that descent the captain and first officer both pulled back on their control columns, almost certainly with all their might, but there was nothing they could have done to prevent disaster by that time. In concluding his analysis in a recent blog post, Lemme sums up both the temptation to blame the crew for their actions or inactions and why that is the wrong approach to take. Human Factors is a science to understand what prevented a pilot from taking the expected action. It is easy to pontificate from a distance. Even the flight crews lost in these accidents would agree what they should have done in hindsight. The challenge is understanding why they made the choices they made and what would have directed them to a better outcome. It’s an important goal, to work toward understanding what the crew could have done to affect a better outcome in part because the actual outcome could not have been any worse. The post Going Direct: 737 Max Catastrophe: A Strong Theory Emerges appeared first on Plane & Pilot Magazine. The crashes of Ethiopian Airlines Flight 302 and Lion Air 610 5 months apart, both involving new Boeing Max 737s, have raised several questions. Pictured: A 737 Max, the type of plane involved in the recent crashes. Unlike small planes, airliners hardly ever crash. Their safety record isn’t perfect, but it’s close enough to that mark that when one does go down, the world takes notice. And when one crashes, especially when it’s under mysterious or particularly horrific circumstances, the aviation world comes together to figure out just how to prevent such accidents in the future. And more often than not, we’re successful in doing just that. That’s why commercial air travel on per mile basis is the safest mode of transportation the world has ever known. In the crashes of Ethiopian Airlines Flight 302 and Lion Air 610, the answers we’re coming up with to explain why those two new Boeing 737 Max planes went down are beginning to come into focus, and that story is disturbing for its own reasons. A new flight control subsystem called MCAS, designed to alter the 737’s control response, is the prime suspect, and it’s looking more and more likely that it was the cause of both accidents. But how MCAS got certified so quickly and how Boeing prepared 737 Max pilots to fly the new derivative and how Boeing and the FAA responded to the crisis—by essentially denying there was a problem right up until the moment that President Trump ordered the planes grounded…well, that tale is deeply troubling. So even though we have a good idea of what was responsible for the crash and while most observers are confident a fix will be found, our trust in the institutions we’ve come to depend on to keep air travel safe has been eroded. Of course the institutions in question are Boeing and the Federal Aviation Administration. Boeing’s reputation as a builder of planes is so strong its pilot fans have a saying: “If it’s not a Boeing, then I’m not going.“ For decades there have been two sides in the global aircraft-design philosophy debate, one side taking Boeing, manual systems, pilot-centered design and tradition, and the other side taking Airbus, more automation, systems-centered design and innovation. In truth neither company has a monopoly on any of these things. But Boeing’s place in the argument as the sensible, conservative and smart choice is at stake, and its reputation is in for a serious hit. That’s because, in the wake of the second crash of a 737 Max in five months, Boeing’s communications regarding the disasters have been problematic, to say the least. The communications gap is striking. In this case, Boeing was literally working on a major fix to the MCAS problem presumably discovered during the Lion Air probe. That plane crashed in late October of 2018. At the same time as it was feverishly working to fix the brand-new system, the company was saying there was nothing wrong with its planes and that there was no risk in continuing to fly them as they were. There’s an obvious disconnect here. For the FAA’s part, it needs to acknowledge that it knew all the details about the process that Boeing used to turn a 50-plus-year-old design into a big-engined modern day fuel miser, because they did know. They were, in fact, actively involved in that ongoing certification review, despite the agency ceding much approval authority to Boeing employees who are designated representatives. And that process involved compromises, which is not unique to the 737 Max. Every derivative design entails compromises. But how the company created the modifications to turn the 737 into the Max and how the FAA approved those changes is a story that is already coming out, and the details, including, according to one report, engineers on the MCAS project not being aware that others changed the design in ways that presented far greater risk to the safety of flight. Those changes, it needs to be said, are suspected as root causes of both crashes. The FAA’s response after the Ethiopia crash was to support Boeing’s claim that the planes were airworthy and to stick to that position, but if they knew there might have been an issue with MCAS, it surely wasn’t saying so. It nearly literally took an act of Congress—well, of the Executive Branch—to get the FAA to back down from its position of supporting the continued operation of the 737 Max. The United States was last in the world to ground the planes, and regardless of whether you think that was a sound decision or not—we think it was not—the optics of that are as bad as they get. Whether it’s true or not, it looked for all the world (and toall the world) that Boeing and the FAA were choosing to protect corporate, economic and national interests over safety. So when the Ethiopian government declined to send the data recorders back to the United States and Boeing for analysis, opting instead to hand them over to France’s BEA instead of to the NTSB, it was hard not to read into that decision that Ethiopia was distrustful of how the investigation would be handled. The BEA is a premier investigative body, so it’s hard to fault Ethiopian on that count, but that it didn’t automatically turn to the United States and its preeminent manufacturer in this case is worrisome. I’m confident that we’ll get to the bottom of this disaster, but in the process our institutions need to be straightforward with the public about their findings and transparent along the way so the message we all get is that truth in aviation investigations is paramount and sacrosanct. And if there were mistakes made in building or approving the plane, we need the manufacturer, Boeing, and the regulator who approved them, the FAA, to own those mistakes. Taking responsibility for them will make it clear to all what happened and why it happened while also accepting blame for a slow and inadequate response after the fact, though reputations, careers and more are likely at stake here. Regardless, everyone must come clean about what happened and why, and the sooner that happens the better. Only then can these institutions begin to restore the trust the traveling public has in how transport planes are built and how they are approved, a trust that has already been eroded yet remains critical to restore, because honest reporting plays a major role in keeping the world flying safely. 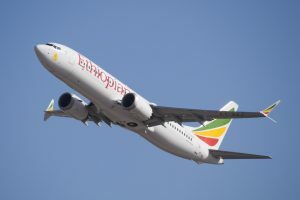 The post Going Direct: 737 Max Crisis And Its Collateral Casualty, Our Trust appeared first on Plane & Pilot Magazine. On Wednesday, Boeing announced it acquired app developer ForeFlight. As you’ve doubtless heard by now, Boeing has bought app developer ForeFlight. Boeing also owns Jeppesen, a company that has the best aviation navigation data in the world, and has for many, many decades. Jeppesen’s aeronautical charts, “Jepps” for short, are the gold standard because they’re accurate, boast a world-class user experience, and they span the globe. They’re also offered as an upgrade with ForeFlight Mobile. For a fee, ForeFlight subscribers can upgrade from government charts, which aren’t bad, mind you, to Jepps, which, as I mentioned, are awesome. Now, the acquisition of ForeFlight by Boeing wasn’t wholly unexpected. The two have been courting for years, well, in that they’ve been partnering for that length of time. ForeFlight has been supplying its platform to Jepp customers (military, charter and airline customers, primarily) to make Jepp charts nice and easy to use in the cockpits of planes big and fast. I’ve had a couple of friends comment that the two companies’ cultures are complementary, and I guess that’s true. Regardless, when two substantial companies come together both of them will change, the only questions are: which will change more, how will they change, how much different will they be, and when will it happen? Admittedly, those are pretty much all the questions. Crystal ball time: ForeFlight is an innovative company—it recently announced its latest feature, an airport preview feature that lets you check your destination in 3D, changing your angle and perspective to mimic your position in flight (or your soon to be position). It’s one of approximately one million cool features the company has launched over its dozen years in existence, a period over which the company has matured and added platforms and capabilities. 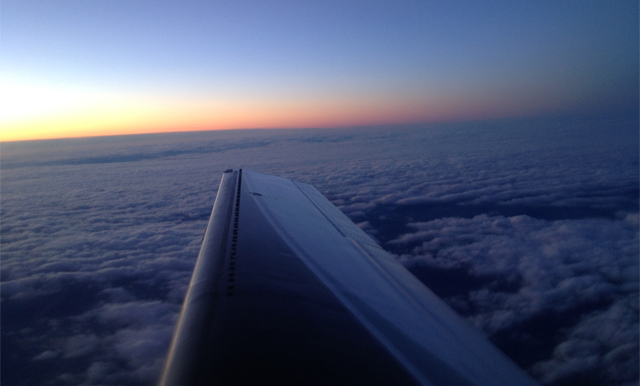 Like the best companies in the world, ForeFlight has a vision and a plan for the future. They don’t share that plan with many folks, but rest assured that when they launch a crazy cool new feature, they didn’t dream it up the week before. So they have a good backlog of intellectual property to roll out, all of which Boeing was surely privy to in its negotiations. The danger of a big, established company, and they don’t come any bigger or more established than Boeing, gobbling up a small, entrepreneurial company like ForeFlight is the fear that the small company will lose its mojo. That doesn’t always happen, but let’s face it, it almost always does happen. The keys to helping the little fish in the new giant corporate pond stay agile is in letting its brilliant people continue to operate as brilliant people. But reining in outliers is what big corporations do, so Boeing will have to fight to prevent that from happening. For the sake of a great product and a great company, I hope they make that happen. As far as immediate effects of the marriage to end users, aka, us pilots, the biggest fear is that ForeFlight users – many of whom opt for the cheaper, still very good quality government charts instead of the upgraded Jepp charts – will be forced to upgrade, which will be reflected in a price hike to the basic product. I’ve reached out to ForeFlight to ask that question and heard back from folks at both ForeFlight and Jeppesen. 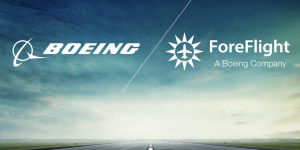 The post Going Direct: ForeFlight Gets Bought By Boeing, What It Means To Subscribers appeared first on Plane & Pilot Magazine. Watch the center of the screen just above the horizon to see footage of the explosion. The fiery crash of a Cessna 414 cabin class piston twin into a neighborhood in Orange County, California, on Sunday is horrifying. It was especially so to me, as I spent my college years and then some living right under the short path of the fated plane’s flight. The plane took off from Fullerton Municipal Airport and crashed a short time later in Yorba Linda. I lived in Fullerton for years on the border of Yorba Linda. While it’s a congested area overall, there are endless places the airplane could have crashed without injuring anyone on the ground. In this case, falling debris hit several homes, killing four people on the ground, who were hosting a Super Bowl party when tragedy struck. The pilot of the plane, 75 year old Antonio Pastini, was killed in the crash, too. 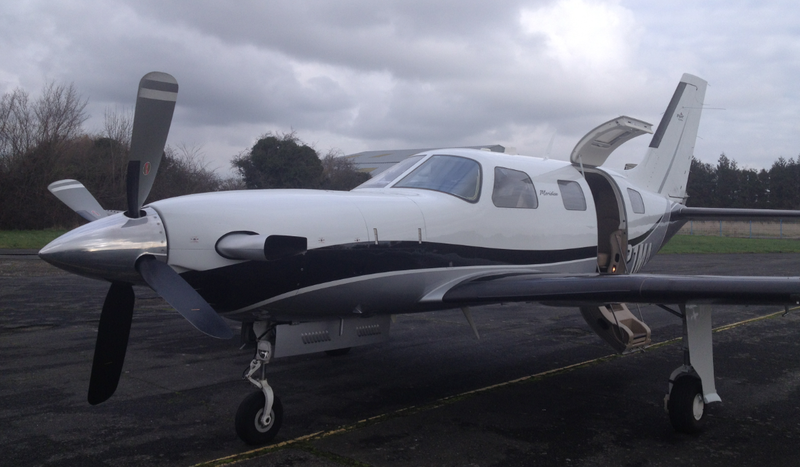 Are you an aviation enthusiast or pilot? Sign up for our newsletter, full of tips, reviews and more! One element of the crash that’s so unusual is that it killed people on the ground. This is something that very rarely happens, even when airliners crash. There have been similar crashes over the past 25 years, but they are rare. The so-called “big sky theory” holds that airplanes don’t hit each other in the air often simply because the sky is so vast. The same might be said about the ground. Despite the vast majority of fatal airplane crashes being into the ground and not the water, people on the ground are seldom killed or injured, a fact that is of zero consolation to the families of those who have been killed or injured, including the four people on the ground in Orange County this weekend. Why this is so is probably similar to the big sky theory in that, while there are a lot of people on the planet, there are a seemingly infinite number of places a plane could crash and not hit someone. So far in Orange County there’s been little call to close the airport the plane took off from, though that is a common aftereffect of such tragedies. We know of no airport that has ever been closed as the result of a crash, but such tragedies certainly hurt our efforts to keep airports open in highly populated areas, where they are most threatened, like in Santa Monica, California. The other really unusual thing about the crash is that the manner in which it happened. As seen on footage from numerous security and dashboard cameras, the plane emerged from an overcast already out of control. This is typical of loss of control accidents. In the vast majority of cases in which an airplane breaks up in flight, and this one was broken apparently before it came through the cloud deck, loss of control is the reason. There are other possibilities, everything from a midair (which clearly didn’t happen here) to structural failure, which, again, there are no signs of in this mishap. 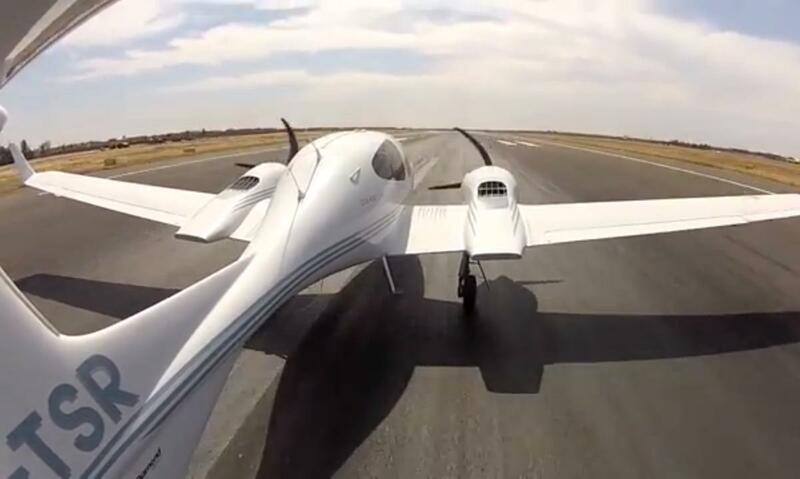 Typically, the cause of such crashes is loss of control and the pilot attempting a recovery that overstresses the airplane. The cause of these kinds of crashes historically has been vacuum failure in IMC and the subsequent loss of situational awareness. Once the plane goes out of control the chances of any pilot getting it back under are very slim indeed. This is not to say that the Yorba Linda crash was caused by a mechanical failure. There are other explanations, and we hope the NTSB gets to the bottom of that cause, but with debris scattered widely, it has its work cut out for it. In these circumstances I’m grateful we have the best accident investigation organization in the world. But the really unusual thing about this crash is that the plane burst into flames before it hit the ground. It looks to be at least several hundred feet, perhaps a thousand feet in the air, when it erupts into a fireball. This is rare but can be explained by fuel from a wing separating in flight igniting against the hot engine. It takes little more than a spark to make that happen. Our thoughts are with the victims of the crash, as well as with investigators, who are on the scene still today trying to piece together the parts of a puzzling crash so their findings might help prevent future tragedies. 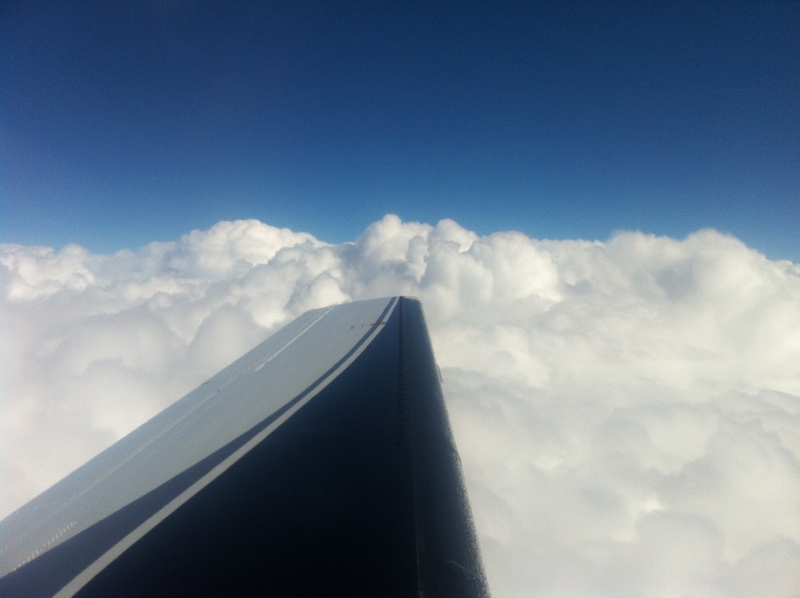 The post Going Direct: Why Deadly Southern California Cessna 414 Crash Is An Anomaly appeared first on Plane & Pilot Magazine.